As a restaurateur, you have a wide array of options when it comes to creating an independent online food ordering system. There are numerous service providers that create app and online ordering services, but knowing which one is the right choice for your establishment can be complicated. This is especially true when it comes to installing that system and making it a part of your daily business. You want to know what you are getting and how it will function, especially when it comes to integrating with your existing point-of-sale (POS) systems. In order to help you make a more informed decision when establishing own independent online ordering system, here are some factors and features to consider. 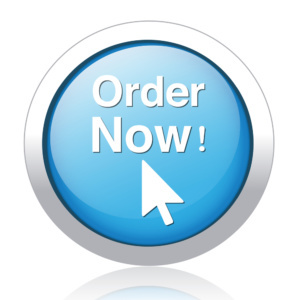 Your online ordering system should be set up in such a way that when you receive a new order, all you need to do is click to accept. Your acceptance notification to the customer needs to include prep and delivery time. That way, they can plan around when their order will arrive or when they should come to your location to pick up a carryout. Usually, the best practice is to send an SMS or e-mail message to the customer confirming an order and providing these details. Order information from the digital ticket should seamlessly transfer to the point-of-sale system you have in your restaurant. Include a suggested tip for pickup or delivery orders, as your staff will spend time and effort making certain the order arrives on time and correctly according to the order instructions. After the order goes into the POS, you can enter the customer’s payment information or mark it prepaid if the person plans on paying cash for the pickup or delivery. Print the receipt and attach the customer copy to the order so you can easily find it when the customer arrives for pickup. It also makes everything easier for your delivery drivers. Order prep should begin as soon as the POS transaction is complete. The kitchen staff should already have the ticket and work on filling the order by the time the customer designates a payment type. Make sure your online ordering system can be syncs up with your POS for daily, weekly, and monthly order tallies and reports. It is important to keep track of how much revenue your online orders generate for your restaurant. After all, you want to make sure that the online ordering system earns you additional money rather than creating additional costs. 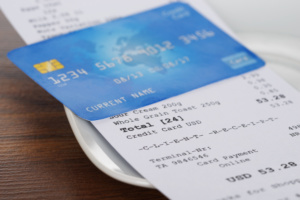 Consider installing a separate system independent of the POS system for online orders. These systems can have independent online order ticket printers that function via Wi-Fi or Bluetooth technology to keep the ordering system separate from the regular POS. This prevents cashout or payment issues during the transfer of your order details from the online system to the POS. The wireless printer goes in just about any location on the premises, thereby allowing your staff to keep an eye on the online orders wherever it is most convenient. In terms of long-range planning for your business, an online ordering system should create greater customer satisfaction and convenience for clientele who want to get their favorites from your restaurant quickly and easily. Online ordering systems are meant to allow customers to get exactly what they want without the possibility of a staff member accidentally putting down the wrong item on an order. This frees up your staff from constantly taking and writing phone orders from customers. Online ordering increases the amount of time the kitchen has to prep and deliver orders since the system prints and posts the ticket in the back of the house as soon as it enters the system. Furthermore, customers who order online tend to spend on average about $4 more per order than customers who order on location or by phone. If your establishment isn’t taking advantage of online ordering yet, don’t delay. Find an online ordering system to use today. Give your customers the ultimate convenience with website-integrated or app-based online ordering, and create customer experiences that let both your clientele and your staff win. Happy, tech-savvy customers tell their friends and family about positive experiences, and they tend to give them a boost them via social media. Consider these factors and features to meet your customers where they are in terms of ordering needs and overall preference for ordering food. The return you receive in terms of positive promotion and customer satisfaction will be well worth the effort. Contact us today to see what Orders2.me can do for you!